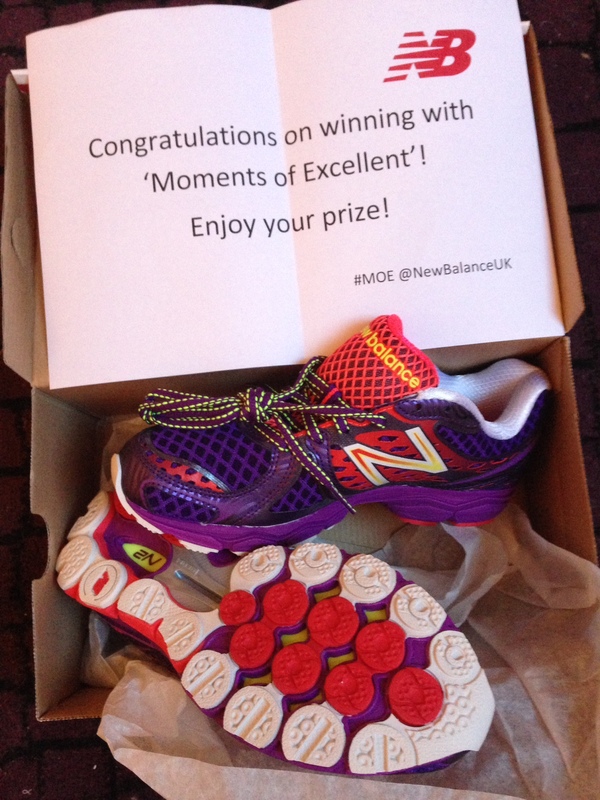 Don’t worry, I didn’t buy them – I won a competition (yes, again). The nice people at New Balance sent me these beauties. 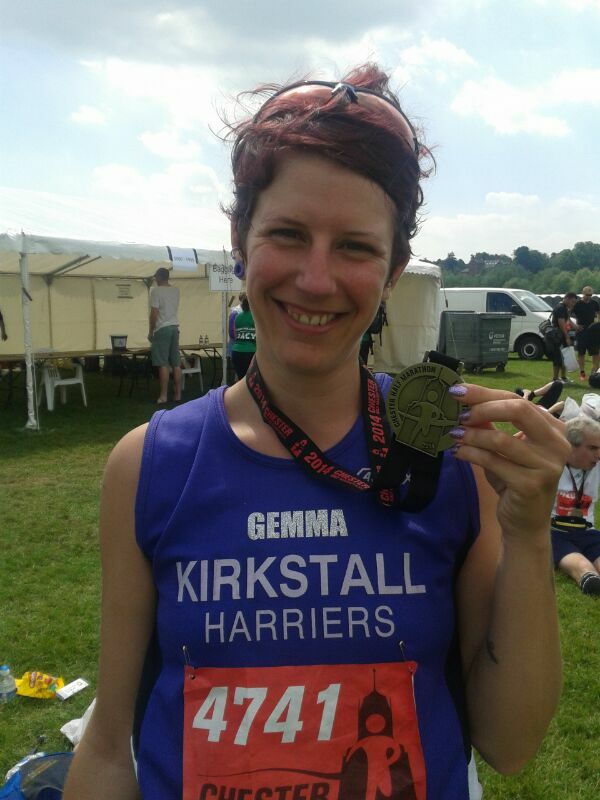 1080 v3 in (by pure coincidence) Kirkstall Harrier purple. I am a very lucky and happy girl. 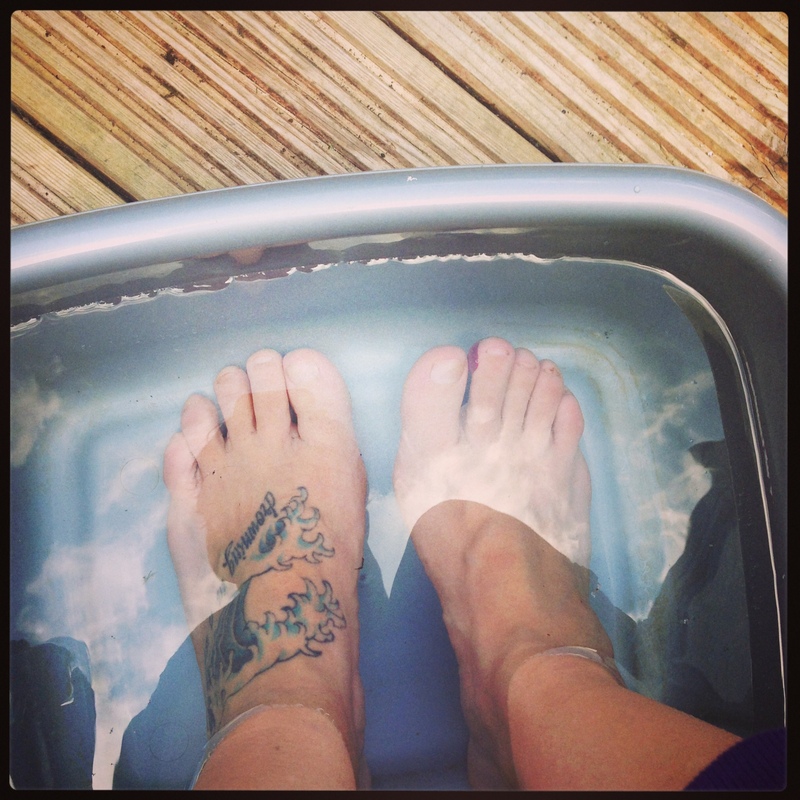 My name is Gemma and I am addicted to running shoes. I own 10 pairs. To be fair, three of these pairs were freebies. I have seven in use (for road running, road racing, and trail running) and three are waiting in the wings as like-for-like replacements. I keep track of how many miles I have done in each via an app on my phone. 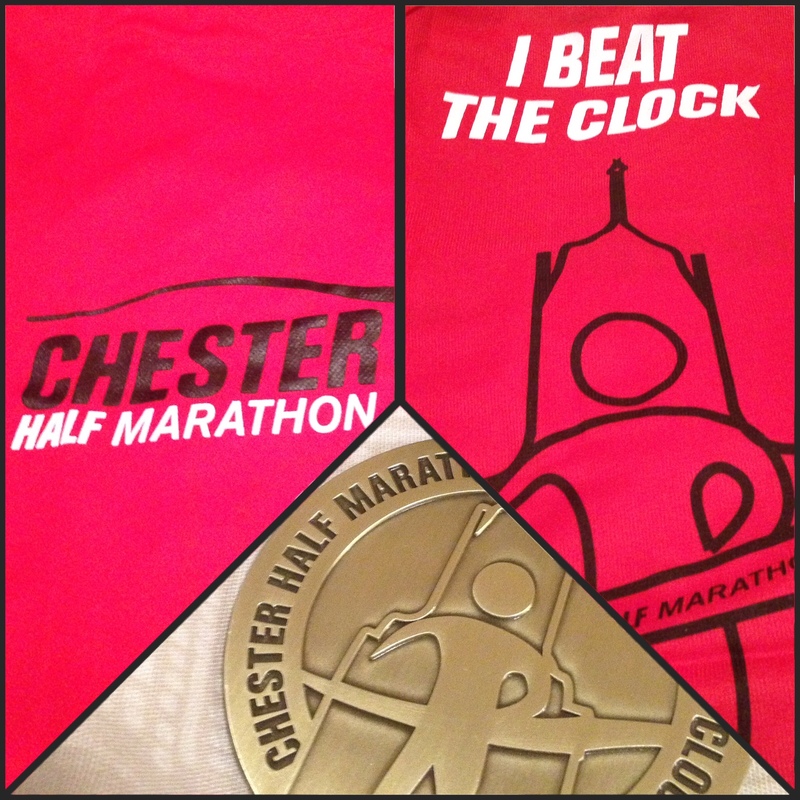 But just how in the name of Pheidippides am I supposed to choose which ones to wear for my marathon next April? And when should I decide? 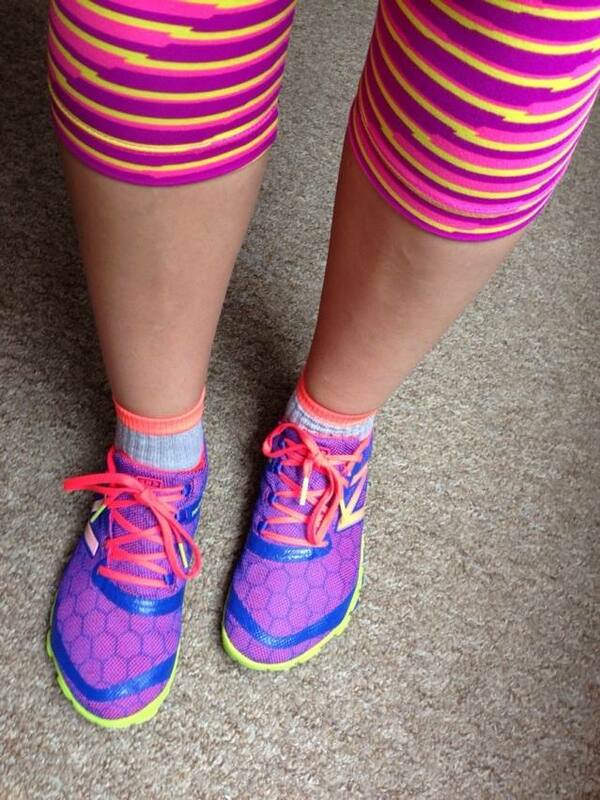 My heart wants to run those 26.2 miles in my favourites – New Balance Minimus. These are my road racing shoes – super-light and super-quick. They fit and feel like socks, and there’s not much more to them. I have a spare pair of these. But in my head I think I should use something at least a bit more substantial. It is a very long way after all. 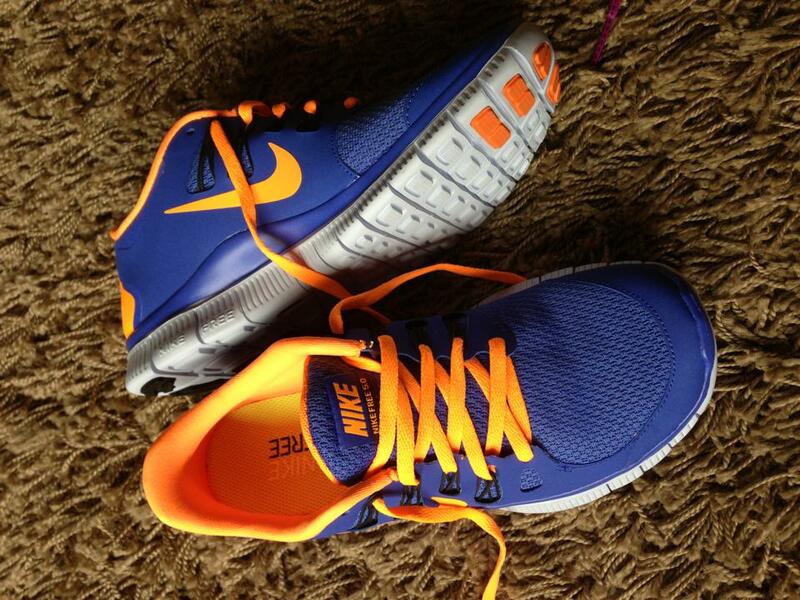 So how about my Nike Free 5.0 shoes. These are so comfortable. It feels like running on clouds. 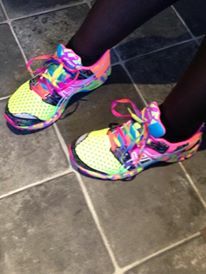 Or the Asics Gel Noosa Tri, which I love because they look like the 80s threw up on them. They are triathlon shoes officially (apparently you can swim in them) and have a bit more structure, but are still responsive racers and feel great. One problem is that I will be doing my training over winter, when the paths are likely to be icy and slippery, and as I do most of my solo training on the towpath I’ll probably need to wear trail shoes, which I won’t be wearing on race day. And I guess I should have two pairs of whichever shoes I decide so that I don’t put ridiculous miles on just one and have them fall apart on race day. Two pairs that I can alternate throughout training means both are broken in and ready to go for the big day. Should I decide now which shoes I want to wear, get two pairs ready and wear them as often as I can through the 16-week training plan? Should I wear whatever suits for training, and use my chosen marathon shoes for races in the build-up and long runs, so I can be (reasonably) sure they will not cause any problems over 26.2 miles without putting too many miles on them? Should I buy more shoes?? I think I probably already know the answer – choose shoes that I know are comfortable, get two pairs, use them both (without wearing them out) and then grab either pair when I pack for marathon weekend. I’ll put in some longer runs in my New Balance Minimus and see how they feel, and if I’m not sure then I think I’ll revert to the Nike 5 Frees. I only have one pair of these so birthday money in February could go towards a second pair. 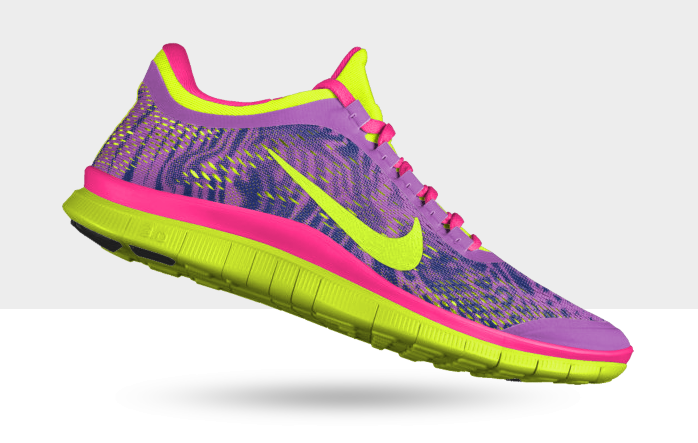 And the really good thing about these is you can customise them on the Nike iD website. I have already designed these in anticipation. Thoughts and advice, sensible or otherwise, are much appreciated!